Architectural detail of interior design in home designed by the Knickerbocker Group. 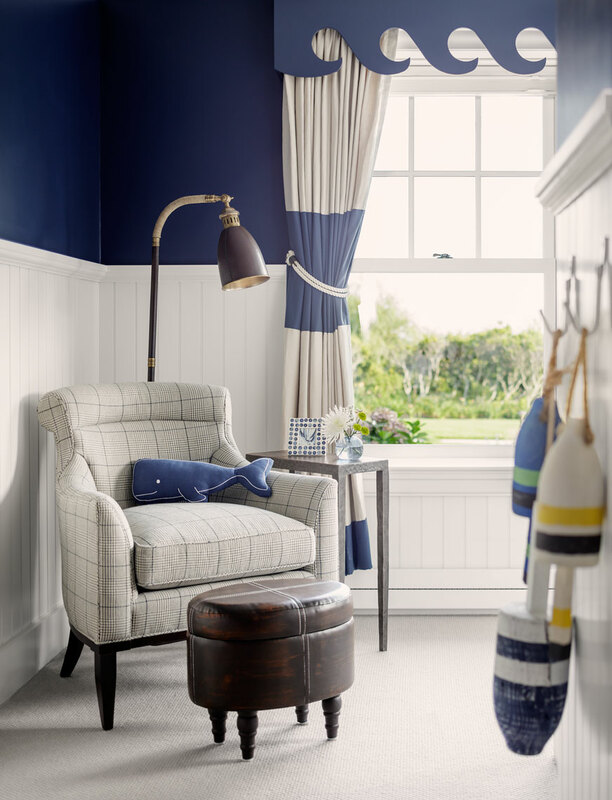 Nautical themed children's room. Photo by Irvin Serrano Photography for Maine Home and Design Magazine.